Exoplanet research has grown explosively in the past decade, supported by improvements in observational techniques that have led to increasingly sensitive detection and characterization. Among many results, we have learned that planets are common, but their physical and orbital properties are much more diverse than originally thought. A lasting challenge is the detection and characterization of planetary systems consisting in a mixed cortege of telluric and giant planets, with a special regard to telluric planets orbiting in the habitable zone (HZ) of Sun-like stars. The accomplishment of this goal requires the development of a new generation of facilities, due to the intrinsic difficulty of detecting Earth-like planets with existing instruments. 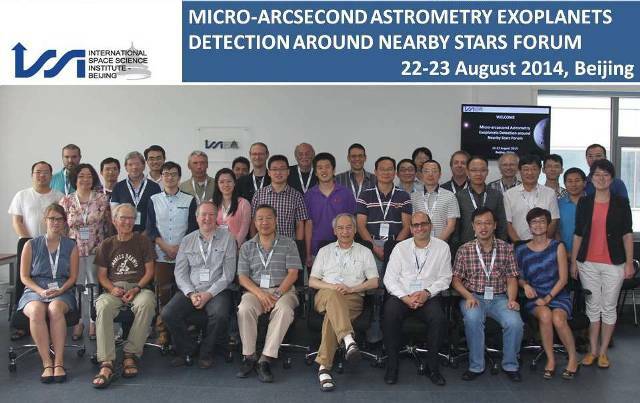 In this context – a Space Micro-arcsecond Astrometry mission to Search for the Terresrial Exo-Planets (STEP) – has been proposed to enter a new phase in exoplanetary science by delivering an enhanced capability of detecting small planets at and beyond 1 AU. In the Summer of 2013, STEP was selected as one of the candidate missions for advanced studies in the space science program of the Chinese Academy of Sciences. This forum is designed to provide a brainstorming opportunity to discuss the most important science developments in this field towards 2020 and beyond and how to achieve them technologically, by bring together experts of both research (theorists and observers) and instrumentation. Special attention will be given to Search for the Terresrial Exo-Planets (STEP), its key science goals and mission definition, as well as some of the key technological issues.